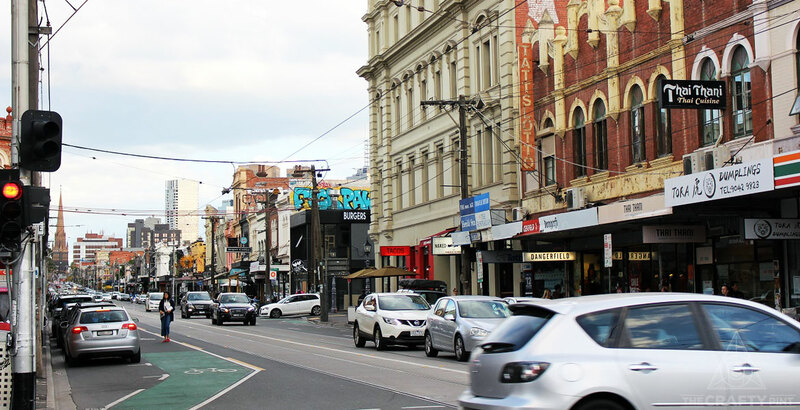 As Melbourne’s oldest suburb, Fitzroy can likely lay claim to a history steeped in more beer than most other parts of Australia. From the moment the Gold Rush turned a British-controlled outpost into the wealthiest city in the world, Fitzroy became home to Melbourne’s working class for whom beer soon followed. Today, the suburb is so far down the path of gentrification it’s probably time nobody ever mentions the process of gentrification again and we just accept that it is gentrified. Yet, despite the exorbitant house prices that continue to rise and rents that have long since pushed many of the venues and retailers that first made Brunswick Street a Melbourne icon further from the city's centre, the suburb has managed to retain not only much of its charm but also its nightlife, in no little part thanks to its ability to hold onto so many of its old pubs. By retaining these watering holes and allowing new ones to rise, Fitzroy offers up no shortage of places to get your hands on some quality beer, whether that’s inside a 100-year-old pub with a parma as accompaniment or a late night dive bar where you may have to watch out for the flailing limbs and sweaty locks of singers leaping from the stage. NB The Catfish can be found in our ever-expanding 86 Tram Crawl. 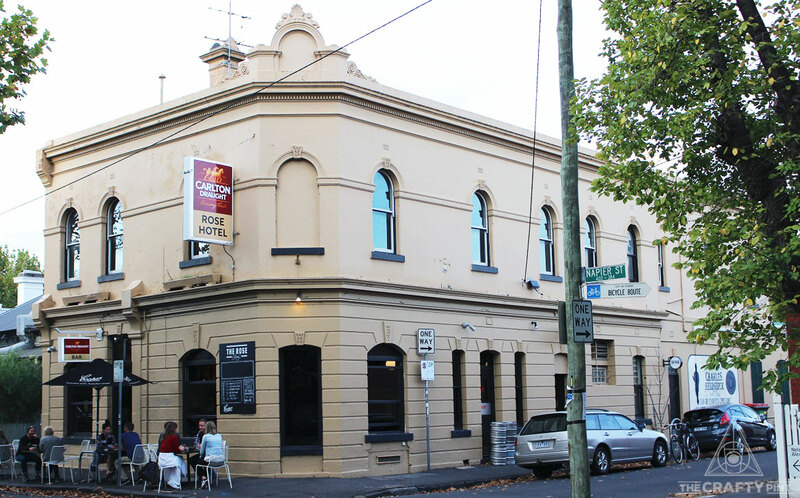 A stone’s throw from Fitzroy’s westernmost boundary of Nicholson Street, it’s unlikely you could wish for a better welcome to the suburb than The Standard Hotel which, true to its name, sets a standard for what a good inner-city pub should be. The Carlton Draught signs adorning its exterior may make beer nerds wary, but you’d be sorely mistaken not to step inside. Besides the Melbourne Bitter and Carlton, the likes of Fixation, Young Henrys and Hawkers all regularly flow through the taps of the front bar, and there's much more to a great pub experience than the flavour or ownership of your beer, such as a location that's the ideal spot from which to enjoy the regular blues and rock outfits the Standard hosts. The Standard is found at 293 Fitzroy Street. The Rainbow Hotel first rose from this Fitzroy backstreet corner more than 150 years ago. Once the purveyor of sly grog, underground gambling and less-than-reputable characters, since 2010 it's been the home of high quality pub food and fine beer across its taps. That change in direction came courtesy of brothers Jason and Adam King, who had previously run nearby icon and good beer pioneer Lambs Go Bar and set about refining the offering upon which they’d built their reputation, reshaping and refurbishing the bar, restaurant and beer garden into one akin to the best of British. The Rainbow has since become the kind of local that manages to bring in drinkers from further afield and make them feel like locals before the first glass has been drained. Whether you call in for one of its legendary Sunday roasts with a side of live music or on a Wednesday night for its famous steak night, it’s a pub that regularly fills to the brim with anyone looking for a good time with a side of good food and great beer. 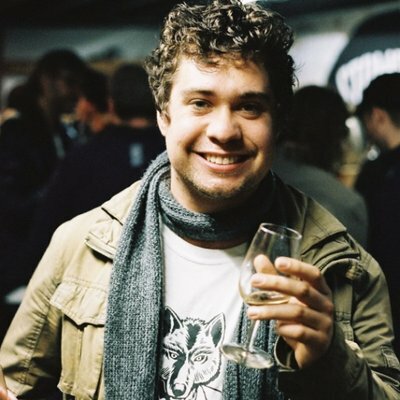 You can keep an eye out for regular beer events too, with the pub the sole venue left in Melbourne that has been a Pint of Origin host at Good Beer Week since #PoO was launched back in 2012. Enjoy the Rainbow's charms at 27 St David Street. 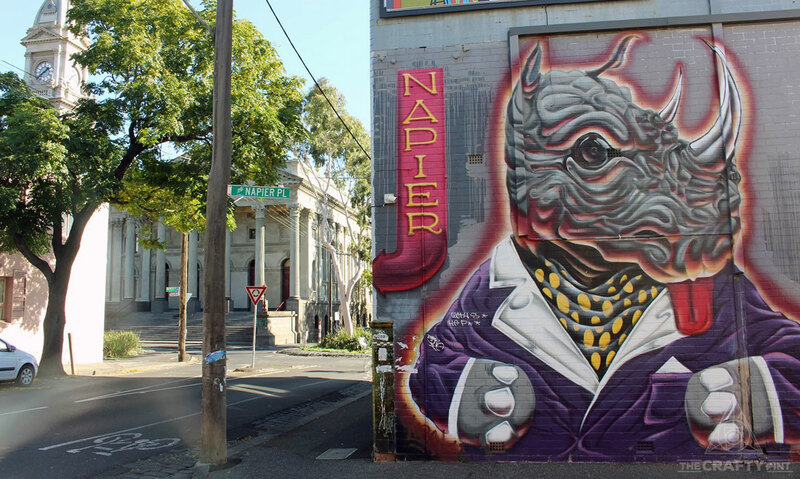 Take a stroll just a few hundred metres through the backstreets, past the grandiose pillars of Fitzroy Town Hall, and you'll find the Napier, a pub that, like the two previous stops on this Crafty Crawl, was part of Melbourne’s Gold Rush era pub explosion. And, in similar fashion, the old pub has operated as a meeting place for all in the area for generations. Over the years, the building has played host to politicians, gangsters and film crews, the last of those enticed because, above all else, this is a place that could be the dictionary definition of classic pub, right down to the memorabilia of the long since migrated Fitzroy Lions adorning the walls. 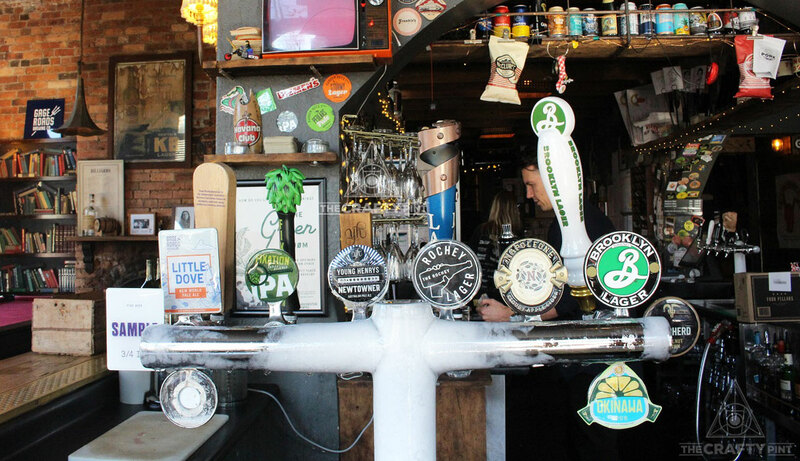 As for the beer, the Napier’s 14 taps put a particular focus on beer that’s best enjoyed by the pint, whether it’s porters, pale ales or an ESB. 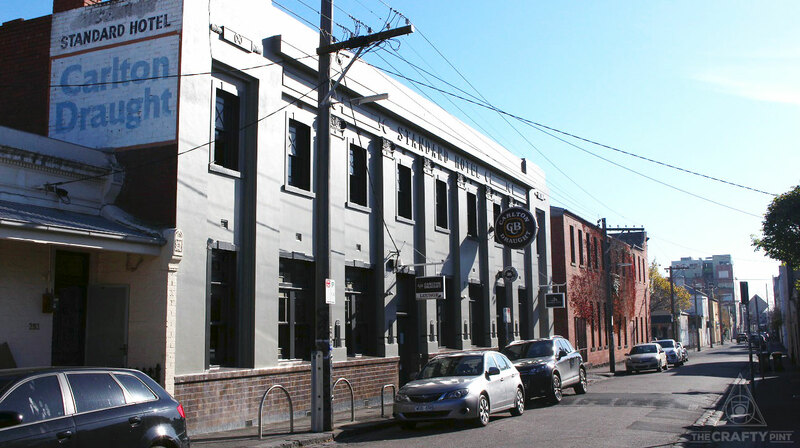 Immerse yourself in classic pub action at 210 Napier Street. For years, The Rochester Castle was a Fitzroy indie music haven, one that would constantly fill with university students drenched in lager dancing to The Streets and The Wombats, before shuffling outside to argue over the best kebab joint between Fitzroy and Parkville. That all changed in 2014 when staff arrived to find the doors locked and the lease over; The Rochey Castle was no more. But you can’t keep a good pub down and it wasn’t long before the building was reborn, sans the “castle”. Today, The Rochey focuses on beer more than ever with a fair amount of space given over to brewing companies that share neighbouring postcodes with the pub. Inner north fellow travellers like Bodriggy, Fixation and Temple pour through the taps and there's an impressive list of cans to be found inside the pub’s tinnie fridge. For years, The Rochey has also offered a menu that separates it entirely from most pubs. When it first relaunched in its new guise, the kitchen was run by the crew at Miss Katie’s Crab Shack. From midway through 2018, the owners switched towards a focus on southern Indian cuisine with $15 thali Fridays proving a hit with the lunchtime crowd. You'll find The Rochey at 202 Johnston Street. 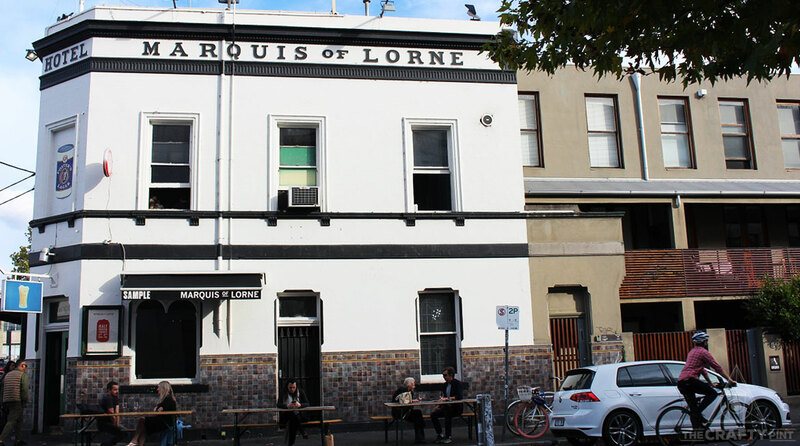 The Marquis of Lorne serves up three storeys of good beer from a corner building little more than a block from The Rochey that looks out over two of Fitzroy’s quieter streets. Inside, each level offers a slightly different feel, with the ground floor a lively public bar, the second a slightly more subdued dining space that’s home to a welcoming roaring fire through Melbourne’s cooler months. On both, you’ll find quality pub fare and a Victorian-centric list of beers on tap. The final level, the Marquis’ rooftop bar, gives punters not only glimpses of the surrounds but also a tinnie bar filled with predominantly crafty beer alongside cans of the sort of domestic lagers that have long been consumed throughout Fitzroy. Drop in between 4pm and 6pm from Monday to Friday and you'll be able to get your hands on those cans half price. The Marquis Of Lorne resides at 411 George Street. When The Rose reopened after renovations in 2016, the major change was the freeing up of some space and the addition of more local beer than you'd have found pouring in this Fitzroy icon than at any time in its past. 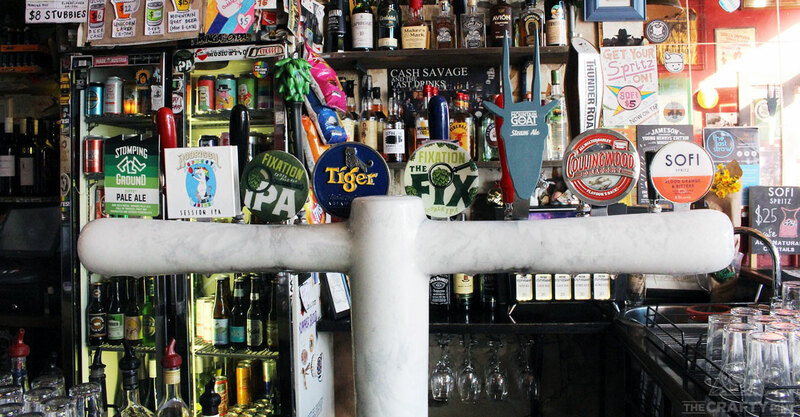 Carlton Draught may remain on tap but the beer is now found in the company of the likes of KAIJU!, Two Birds, Balter and a plethora of other Aussie independents, who are regularly invited to showcase their wares via tap takeovers that make good use of the 16 taps circling the bar. The Rose has long been a place to enjoy the football on weekends and time hasn’t altered that, with football memorabilia lining the walls and horseshoe shaped bar and thoughtfully placed televisions ensuring you needn't miss a moment's action. The Rose is at 420 Napier Street. You're technically going back on yourself here, but it wouldn't make sense to finish this Crawl anywhere else. For fans of local music, the Old Bar needs no introduction. Open seven nights a week and with live music on stage every night, Old Bar can lay claim to one of Melbourne’s most extensive gig guides while also being one of the city's best loved dive bars. 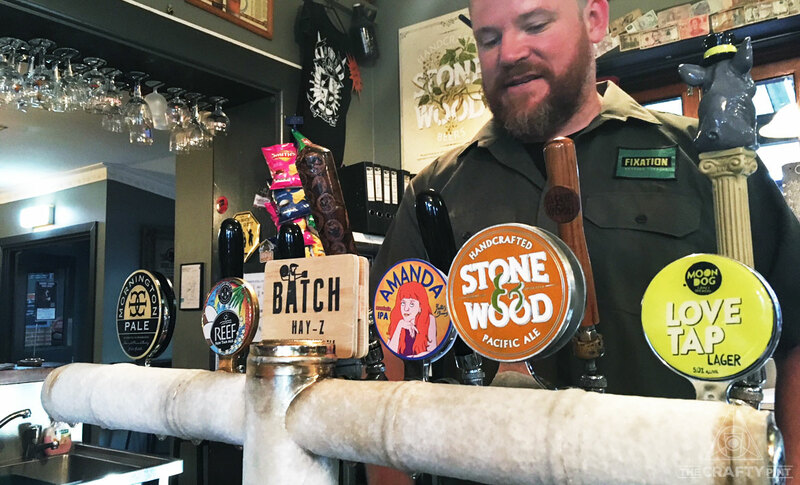 Since opening almost two decades ago, more local bands have likely graced the Old Bar’s stage than any other spot in Melbourne and, in more recent years, the venue’s focus has also turned towards local beer. Early on in its journey into craft, Mountain Goat became a regular on the bar’s taps (which may well have had something to do with one of the Old Bar's most loyal customers) and the Goat head has since been joined by many others along the front bar font, including the likes of Fixation (which may have something to do with one of the Old Bar's most loyal customers), Bodriggy (who brew a beer for the bar's pub footy team) and Stomping Ground. If the taps don’t satisfy your need for something tasty to accompany your choice of band, there’s also a big stack of cans and bottles in the fridges. Let your hair down at 74-76 Johnston Street. 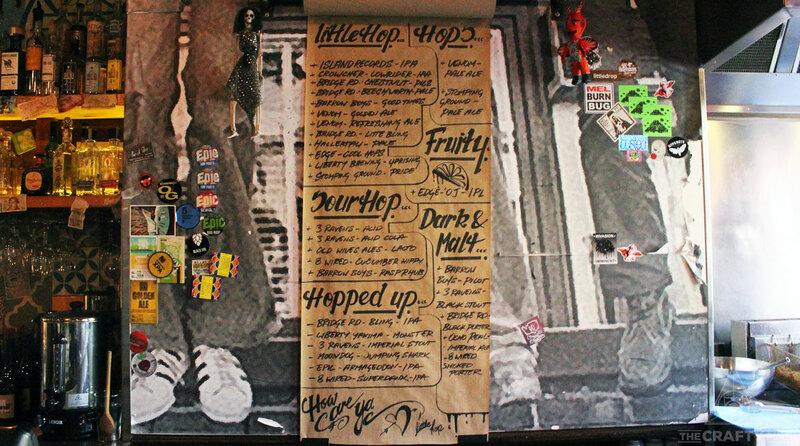 Located in the heart of Brunswick Street, the small and narrow but always inviting Little Hop brings together good beer, cocktails, tacos and high times. As turntables spin tunes from blues greats, find yourself a spot at the bar, grab a taco and wash it down with a beer, either from one of the bar’s two rotating taps or the ever-expanding collection that fill in the fridge. There’s a strong leaning towards beers from New Zealand, with 8 Wired, Epic and Liberty often pouring, and the full lineup laid out for you on the venue's handy, handwritten beer menu. Best of all, the people responsible for bringing the booze, tacos and tunes are likely having just as much fun as you so surrender and enjoy the ride. The second of what's now a trilogy of venues sharing ownership with Collingwood's Rockwell & Sons (they launched Capitano in Carlton in August 2018) is Bar Liberty. Take a walk westwards along Johnston Street from the junction with Smith Street and look out for the casually spray-painted "Liberty" over the sign of the venue's previous Mexican resident. It's a bit of a red herring, as what's on offer inside is a world or three away from such a slapdash approach to signage. Indeed, the offering sits at something of a counterpoint to the venue itself, with dining areas fitted into cosy spots within what could easily be turned into someone's terraced home. Yet a quick glance over the bar, at the menu or at the dishes making their way from the kitchen and you can see why it's become a darling of the Melbourne foodie and media worlds. Its ambitious wine list is on target to have amassed as many awards as it contains wines, its food, which draws inspiration from far and wide, delivers intense experiences from plate to plate and the beer list has been drawn up to offer plenty of diversity and texture so you can pair away to your heart's content. 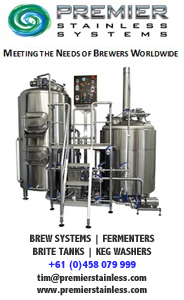 Little wonder it's become a go to venue for breweries and beer festivals seeking to give their guests something a little special. Take liberties at 234 Johnston Street. Black Pearl – One of Melbourne’s most heralded and globally-recognised cocktail bars also happens to keep a strong list of good beer. The Kodiak Club – A celebration of American food and booze, while the focus may be bourbon, the bar also has a broad selection of beers from America’s craft pioneers. The Rum Diary Bar – There’s more than 200 bottles of rum to be found inside at any one time, but there’s also a steady selection of local beer on tap and the staff have collaborated with local breweries before too. 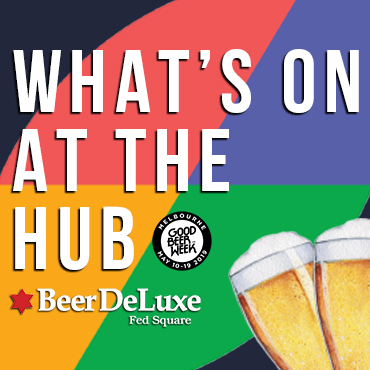 Crafty Crawls are the name we give to suburb and region guides; you can find more from across Australia here and download the free Crafty Pint app to find all these venues and hundreds of others plus events, special deals and more.